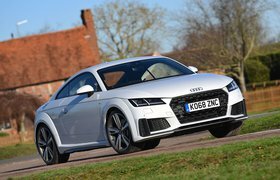 2018 Audi TTS Coupe review – price, specs and release date | What Car? Here at What Car?, we pride ourselves on conducting all of our road tests with a real focus on objectivity. Where other magazines might overlook poor reliability or shonky build quality because a particular car has ‘character’ or feels ‘special’, we want to make sure that you get consistent and unbiased buying advice that you can truly rely on. While that usually means constant change when it comes to our Car of the Year Awards, there are exceptions to that rule. 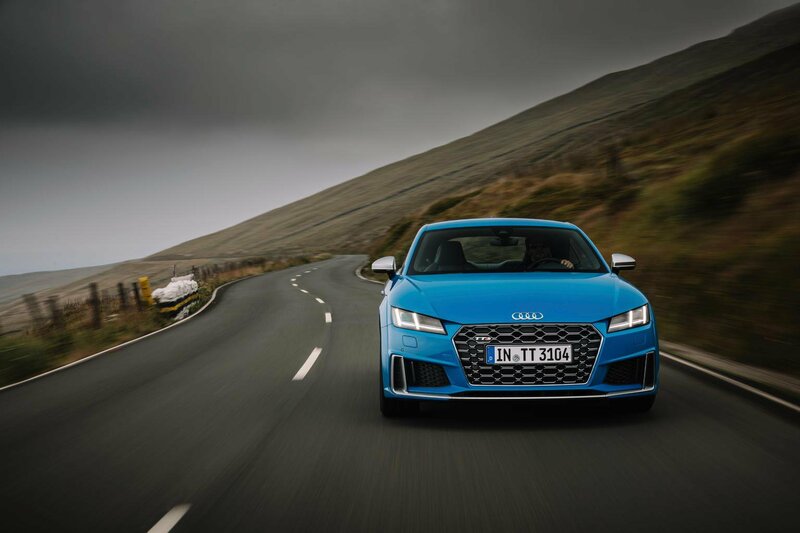 You see, since its release in 1998, the TT in both coupé and roadster forms has chalked up category wins a whopping 17 times – that’s more than any other car in the 40-year history of our awards. 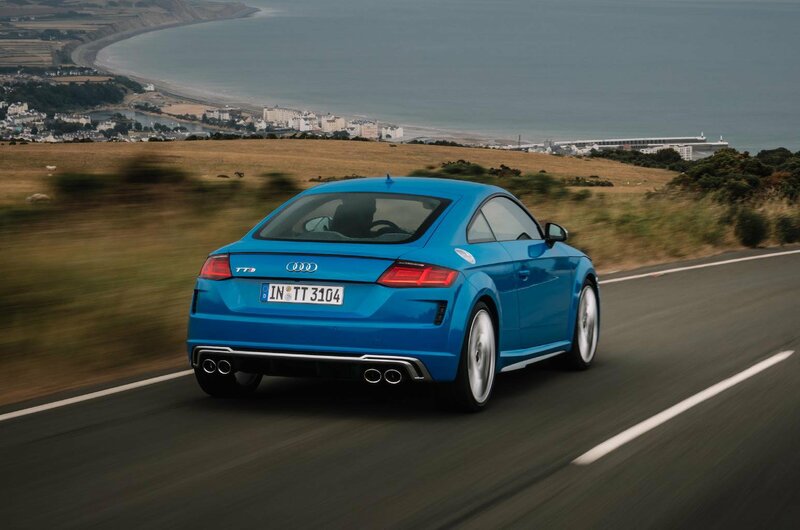 Put simply, no other coupé has managed to combine cutting-edge style and great driving dynamics with the day-to-day usability of the TT. There really has been nothing to topple it, even if the current model has been on sale for four years. 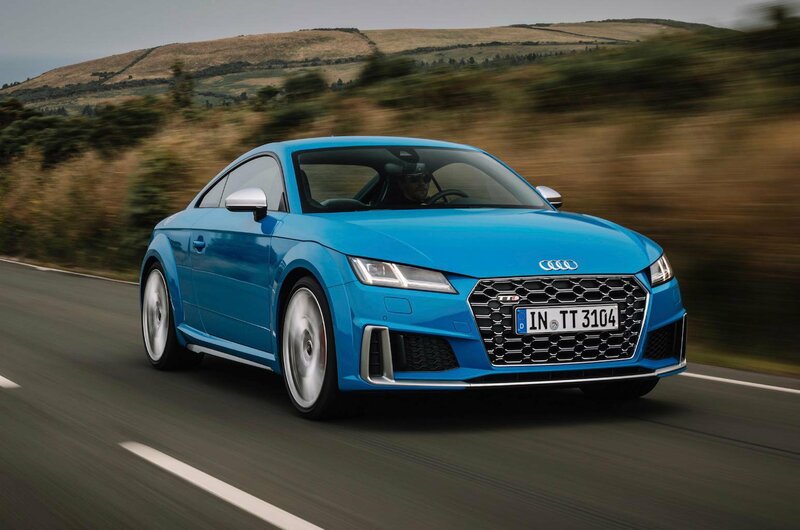 That’s right, four years into the production run of the current TT, Audi has decided to treat its best seller to a midlife update, starting with the sporty TTS (the range-topping TT RS will receive an update later this year). Aesthetically, the changes are relatively minor: there’s a more aggressive front bumper with matt aluminium accents, a broader three-dimensional diffuser, wider air intakes front and rear, plus the choice of two new colours: pulse orange and turbo blue. Not major changes, then, but there are more extensive tweaks to be found under the skin. The Volkswagen Golf R-sourced four-cylinder turbocharged petrol engine has been given a boost, liberating another 15lb ft of torque to bring the total up to a more-than-respectable 295lb ft. Plus, there’s a new seven-speed S tronic dual-clutch gearbox that features shorter ratios. Combined, these changes drop the official 0-62mph time to a Porsche 718 Cayman-beating 4.5sec (a tenth quicker than before) – even if a new petrol particulate filter has knocked 4bhp off the total engine output to 302bhp. So are these changes noticeable on the public road? Let’s find out. Audi decided to launch the TTS on the Isle of Man, the one place where you don’t find yourself travelling slowly very often. If you dive off the really quick main roads – in this case, the famous Mountain section, which the Manx police have shut for this event (yes, really) – there’s a whole network of tighter B-roads that allow you to stretch your car to its limits without having to venture into three-digit speeds. And it’s on one of these roads – a sinuous ribbon of Tarmac leading from the Mountain section down to the small town of Sulby – where we get to sample the revised powertrain for the first time. The last-generation 310bhp car never felt anything other than rapid in a straight line. But this new model, with its fractionally shorter gearing and superior low-down grunt, positively leaps for the horizon as soon as you touch the accelerator – you simply point the car roughly in the direction you want to go and give it as much gas as you see fit. Four-wheel drive traction ensures nothing is squandered. Unlike the last-generation model, this straight-line pace somehow feels more exciting – something we suspect is down to the way the new seven-speed gearbox fires through the shifts with a fraction more gusto. Indeed, it certainly has enough firepower to keep an entry-level Cayman or BMW M240i on its toes, even if it is missing the cultured noise of the latter's six-cylinder engine. Despite this impressive turn of straight-line speed, the TTS has never been the most engaging coupé to drive. And with no mechanical changes made to the chassis for 2019, that hasn’t changed. Like before, the front end reacts with a pleasing immediacy to your inputs through the sensibly weighted steering, but there's none of the hooliganism you'd get in an M240i. Instead, the TTS just grips tenaciously until the front tyres gently wash wide. And even though the four-wheel drive system can theoretically send 100% of the power to the rear wheels, in reality the car always feels like it's pulling you along. This, of course, will be welcome news to many who want a fast coupé that feels stable and confidence-inspiring in all conditions; indeed, even at speeds approaching double the UK speed limit (all legal in the Isle of Man, of course), the TTS feels resolutely unflustered. However, if you want a car that will challenge you and have you grabbing the keys to go on an early Sunday morning drive, you’d be better off with a Cayman. That said, the TT has always been about more than just pure driving thrills. With a spacious interior, a well-judged ride (thanks to standard magnetically controlled dampers) and reasonable fuel economy, the TTS is one sports coupé that you can drive daily without complaint. Manufacturers tend to focus a lot of their time and effort on interior revisions when it comes to a midlife facelift. However, Audi didn’t have anything to worry about when it came to the TT; it still looks and feels as good as it did at launch back in 2014. This is perhaps why Audi chose to keep interior changes to a minimum; there are few new interior trim pieces that you can now spec in a satin finish, while the Virtual Cockpit (you can read more about the TT's infotainment in the interior layout section of our full TT review) gets an extra sport display mode that shows engine output, torque and g-force. Build quality, of course, remains top notch, with everything finished in either dense, soft-to-the-touch plastic, tactile leather or Alcantara, while every piece of switchgear, from the starter button to the air conditioning controls, feels beautifully damped and well screwed together. Of course, like the previous car, the TTS comes with a pair of slender rear seats that are, if we’re honest, useless for carrying people; even children will feel the squeeze. However, that space is still useful for bags and coats you can’t be bothered to put in the boot, and you can also fit a couple of bags of shopping in the rear footwells if the person sitting directly in front doesn't have their seat too far back.